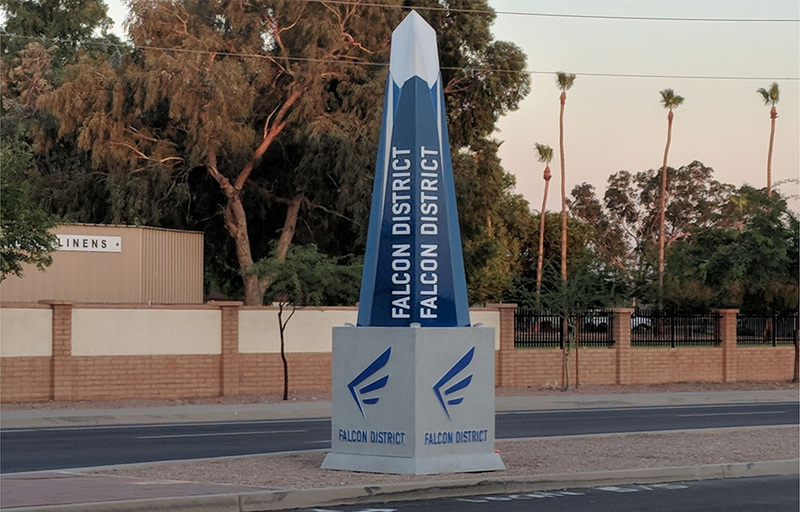 The YESCO Phoenix branch was awarded the Falcon District project in an effort to help re-brand the northeast area of Mesa, Arizona. 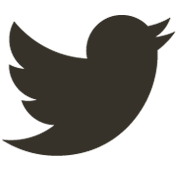 The city wanted to promote the area for it’s aerospace, defense, manufacturing and technology companies and to attract new companies in which to grow. 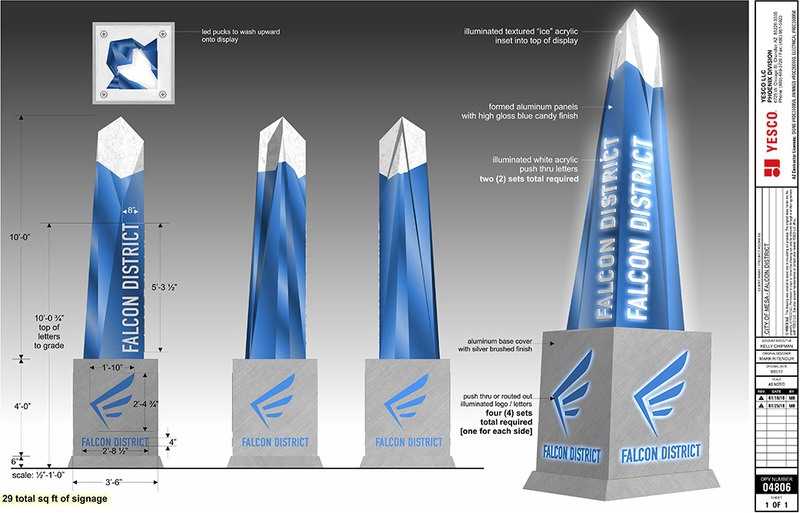 And what is now an iconic monument display in the district, produced by YESCO, helped kick start this initiative. 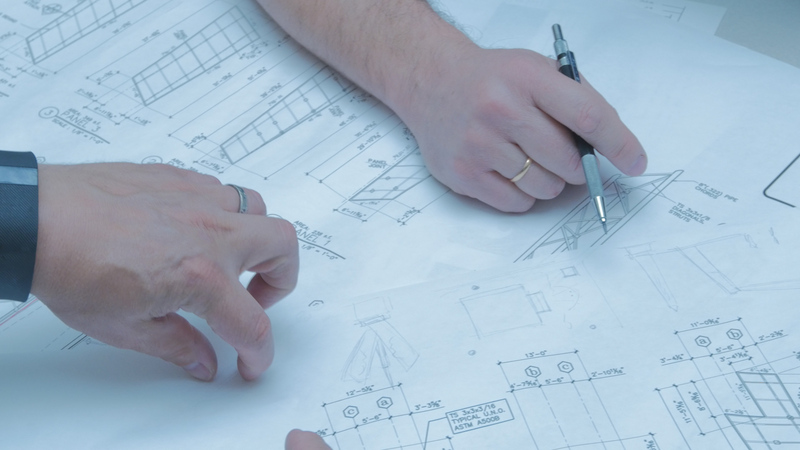 YESCO received a few preliminary design concepts that were originated from architects at the City of Mesa. 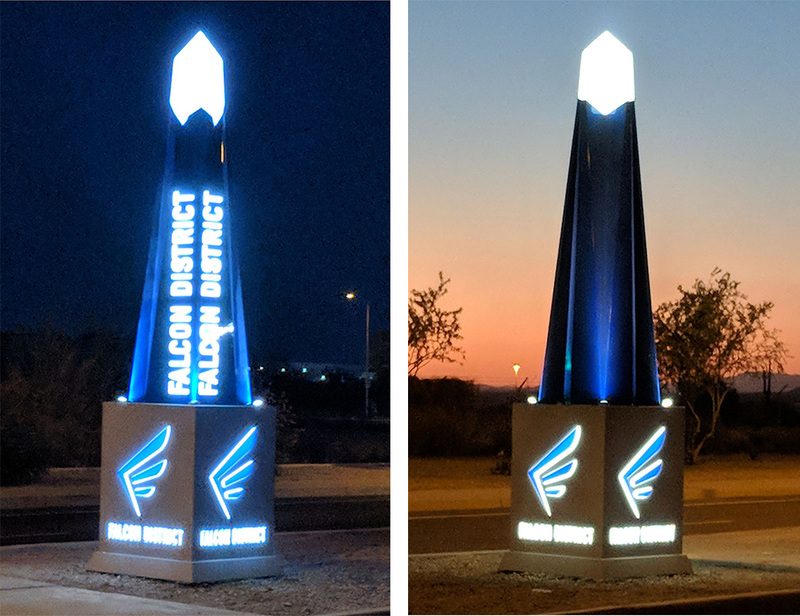 The Phoenix design team, along with account executive Kelly Chipman, re-designed the monument so that it could actually be “buildable”, be more unique and dynamic, and still capture the overall feel that the city was after. The monument was a collaborative project from both the Phoenix and the Las Vegas branch. After being re-designed in Phoenix, it was then sent to YESCO Las Vegas to start the complex CAD process for a seemingly simplistic design. Jesse Hartlauer and Jim Raimondi flawlessly executed the task of producing the unique geometry in order to be sent to the shop. When it came to the paint stage, the customer was set on a candy blue finish but the Las Vegas paint department recognized that the paint finish would only last a couple years under the Arizona sun. So they came up with a solution that would give it that candy finish, yet remain vibrant for years. As the Phoenix branch installed the display, YESCO also wrapped several of the city’s existing, muted green utility boxes with new, rich blue vinyl to help re-brand and re-energize the area. 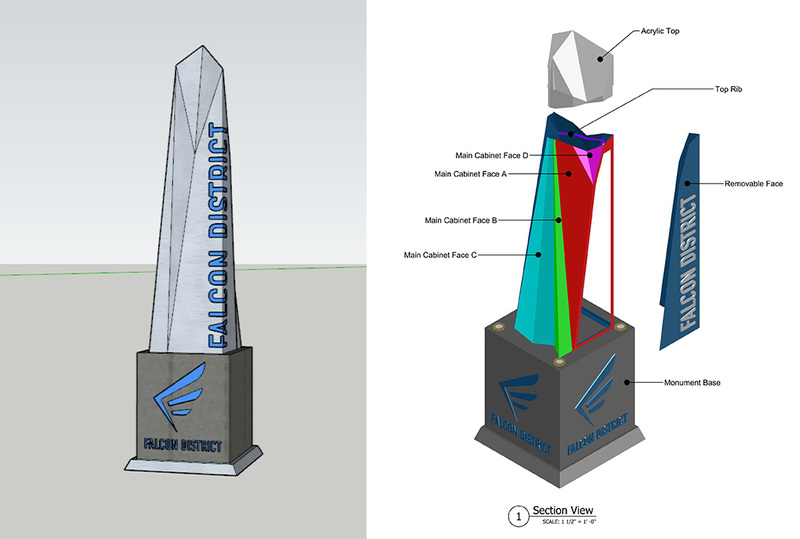 The city was excited and so pleased with the monument that they ordered another display to be installed in a different area of the district.